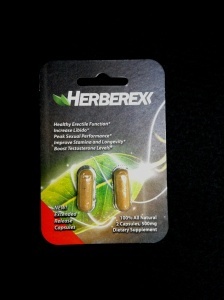 Innovation in packaging and foil blister packs continues to be realized with the explosion of the Dietary Supplement industry that is offering everything from Vitamins and Energy to Probiotics and Male Enhancement anecdotes. Foil blister packs, or carded blisters are commonly produced by thermoforming plastic sheets to include multiple distinct pockets designed to hold individual pills. The preformed plastic sheets are filled, and then sealed with paper, plastic or foil lidding. Another type of blister pack used for pill packaging is created in similar fashion, but with an aluminum (foil) based material instead of plastic. The material is cold-formed by stamping it over a mold until it retains its new shape. These foil blister packs provide excellent moisture and oxygen barrier properties that protect the shelf lives of the pills they contain. The packs are not transparent like their thermoformed plastic counterparts, nor can they be produced as quickly. Protection and Safety – Pills need protection from oxidation and moisture, which is achieved by incorporating appropriate barrier materials into pill package construction. Retail pill packaging also insulates pills during shipping – to help minimize product losses due to rough handling. Sealed plastic blisters provide a measure of tamper-resistance, which can be further fortified when child-proofing is called for. Dose Control – Pills packaged individually, or in appropriately sized multi-pill doses, utilize ‘unit dose packaging’, which lets consumers easily access individual servings of medications and supplements. Calendar-based dosage monitoring is incorporated into retail pill packaging by printing days of the week onto packages to correspond with each day’s dose. Sanitation and Visibility – Blister cards are created using a form, fill and seal packaging process that places pills in protective individual pockets under sanitary conditions. The enclosures provide immediate and long-lasting insurance against product deterioration. Clear PVC blisters allow consumers to evaluate the integrity of their pills without opening packages. Pills that are not in blister packs are contained using a skin packaging method that uses vacuum pressure to draw clear plastic films over tablets and capsules, securing them to rigid boards at the same time. Like blister cards, this form of packaging creates marketing space, which can be filled with graphics and product information to lure consumers. Herbal supplements, male enhancement pills, vitamins, energy boosting tablets and diet pills are each effectively marketed using blister and skin packs. Contract packagers use state of the art ‘blister line’ machinery to fulfill high-volume orders. On production bottling lines, product gets filled, labeled, capped, induction sealed, date/lot coded and packed out into inner or master shipping cases all in-line. Available green packaging processes use recyclable materials and vegetable and soy inks. Low cost retail pill packaging options utilize PVC and other plastics, according to client specs and specific product requirements. High quality and fast turnaround are hallmarks of competitive packaging contractors. Diverse assembly experience allows proficient packagers to match clients with the best packaging solutions for meeting their needs.